Visit the CJ Rodman Center for the Arts. Enjoy breakfast at Mr. & Mrs. P’s Eatery. Skate at the ice skating rink on the Village Green! Gather for lunch at Knuth Brewing Company downtown. Hit the Ripon College hill for the best sledding in town! 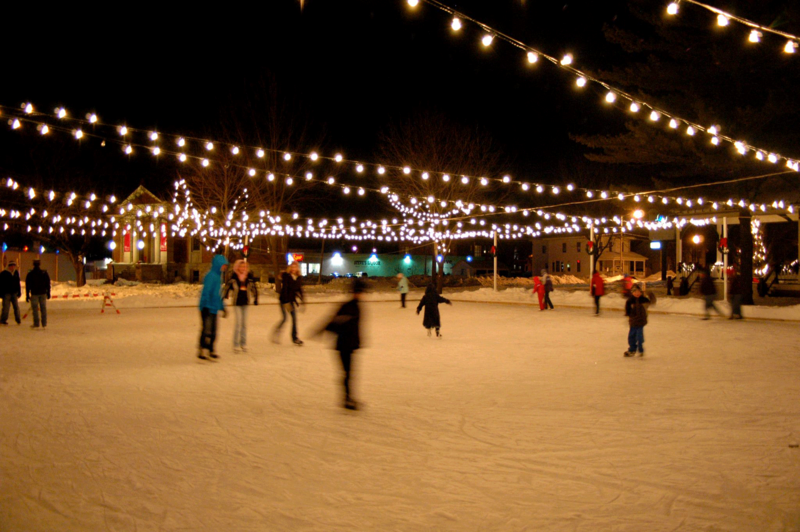 Lace up the skates and hit the downtown rink at Village Green. Grab pizza and hoagies at Roadhouse. Take in a movie at Campus Cinema. Prepare for the holidays with a day of shopping and dining! Map out your shopping strategy at Kristina’s Cafe for breakfast. Check out all the great shopping opportunities in Ripon. Take a minute for a meal at your restaurant of choice! Come back again next week!